Australia is widely hailed as a world leader in the seductive art of making coffee. But that does not mean our baristas are standing idly behind their Slayers revelling in self-congratulation. Coffee industry pros are innovating and lifting our already very high bar even further. "People look to Australia to be the innovators of coffee. That's a commonly held view when you talk to people in the specialty coffee industry in the US or in Europe. They're all looking to see what Australians are doing ," says Campos founder and CEO Will Young. "They're looking for what the next new thing is and it's usually coming from Australia because Australia seems to embrace innovation and change, especially if it tastes good." 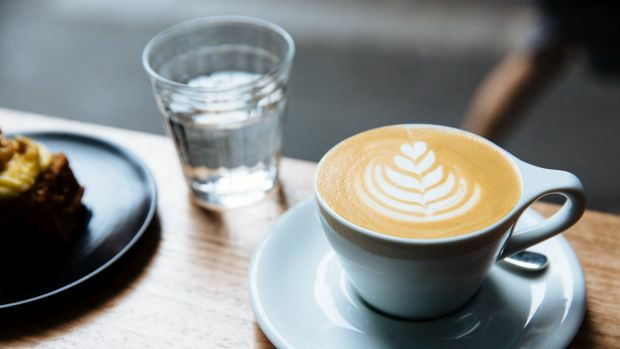 "Melbourne has led the way in terms of developing a coffee culture, and I think you need that community to push the bar higher and higher," says Rob McDonald of Melbourne's Zest coffee roasters. "It's like any art form … there needs to be a whole lot of people invested in the same outcome for really interesting and organic growth, and Melbourne, and also, Australia, has done that for coffee." Single O head barista Angus Lindsay argues Sydney's standard is equal. "It's more spread out, the distance from good cafe to good cafe is probably a bit wider, but the standard of the good cafes is just as high." For the general latte-sipping population milk- and espresso-based coffees are still the order of the day. 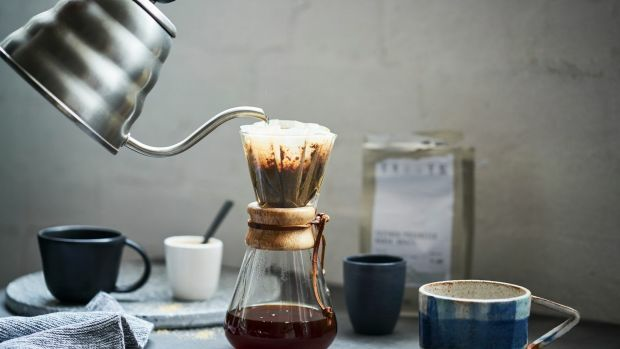 Laboratory-style equipment such as siphons and Chemex coffee makers may have intimidated people into a #nofilter approach to their daily brew. But new machines that can be programmed to within an inch of their lives and beans sourced from not just a single country but a single farming plot are giving baristas a chance to showcase filter coffee as never before. They are urging us to venture beyond our "regular latte, thanks" order and try them. "Australians just really love flat whites and lattes and cappuccinos," says Young. "We're striving harder on our filter coffees to get amazing results that people might want to change from their flat white to a filter." Five Senses director of coffee Jacob Ibarra says filter brewing is the best demonstration of different types of coffee. "The format of it makes people rethink coffee," he says. "The average consumer would be adjusting to filter in general, but their mind becomes a little more open to what coffee can be, and then you can highlight some of those coffees that are a little bit more complex and delicate in nature; I think that [filter] gives them a greater chance of appreciation." The quality of filter coffee making has been transformed in the past decade by the quality of the beans being used. But it is about to go to the next level. Young says filter brewers have become more sophisticated, with "robotic" machines like the Steampunk that's programmed via a touchpad. Zest roasters tested a high-tech Swedish brewer, aptly named the "Hipster", at the Melbourne International Coffee Expo in March. "We can adjust when you want the water to pour on, how many spurts of water, and in what direction, how many pulses of water, the temperature, the time between the pulses of water..." says Young. This highly customised approach gives the barista the capacity to bring all the flavour notes of the bean to the fore. Gooseneck kettles with curved spouts may soon fly south, with faster automated pourovers such as the Marco SP9 replacing hand-poured methods. "There's a transition to mechanical single-cup brewers, which you see mimicking V60, but done using a sophisticated brewing device that pours the coffee in a very controlled and calculated manner that acts like a great barista," says Young. If you are time-poor but still want to try a filter-style coffee to go, try a batch brew. "As a takeaway option, batch brew is going through the roof," reports Seven Seeds barista Simon Dimasi. Batch brew is produced in larger quantities and kept warm. The ready-brewed coffee is poured to order. "[Batch brew] is a good way of giving an average punter something that we would drink ourselves," Lindsay says. While whizz-bang machinery is taking filter coffee to new levels in cafes, you can experiment at home too. 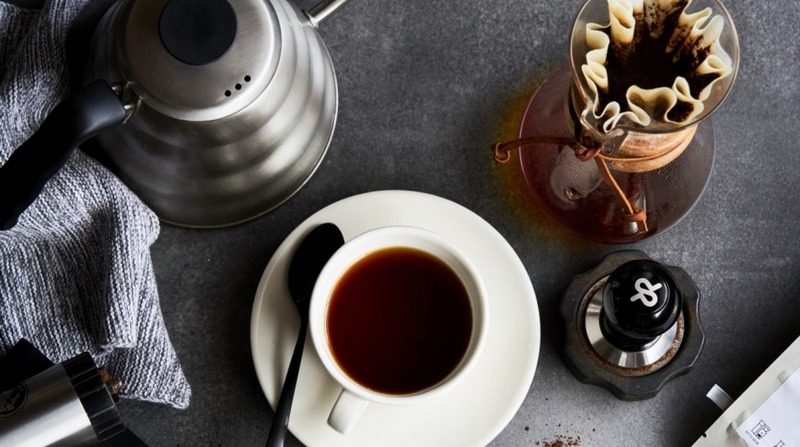 Kit yourself out with a funnel-shaped V60-style pourover (available for around $30) and a packet of paper filters. Just as importantly you need to source some excellent beans. Talk to your local barista and ask them to recommend a bag of their current favourite beans and get it ground. At home, put the beans in your pourover (lined with filter paper), sit it on top of your favourite mug, and put the kettle on. As in the cafe, consistency is key. "Always brew straight off the boil," says Dimasi. "Change one thing at a time…grind [the coffee] coarser or finer, or use more or less coffee." Once you find a particular coffee you like, keep a mental note so you can search for something similar. "For the average consumer trying to up their game, really just focus on the country [of origin], or the processing. Those are going to be two really big factors," Ibarra says. First it was single origin (country), now coffee sourcing has become so specialised it has narrowed down to a single lot on a farm, also known as a microlot. Coffee buyers are zoning in on individual farms to find interesting beans and producers who are pushing the boundaries with their processing methods. When processing the coffee, after separating the beans from the fruit, "you can ferment it in open air, underwater, or in an anaerobic container (without air at all) – those are the things you've got to play with, and you've got to control it to specific outcomes as best you can," Zest's McDonald says. Microlots offer a chance to experiment in small quantities – with some producers even selling smaller nanolots (a plot within a plot narrowed down to say, single 60kg bags). McDonald believes microlots are "the champion of the future of coffee industry", because beans from interesting microlots often attract a premium price, contributing to the sustainability of the industry, especially at farm level. If a particular microlot takes off, it can encourage neighbouring farmers to produce similar high-quality crops and coffee. Young has seen microlot producers experimenting with what they term "Frankenstein" coffee, adding acids and yeasts to bring out certain characteristics, as in winemaking. For McDonald, a microlot must meet these criteria: "High quality coffee, distinctive, and traceable back to a single person or a single farm as something that was cared for, and the character of the coffee was preserved throughout the supply chain." Microlot coffee is just starting to be more widely used in cafes. 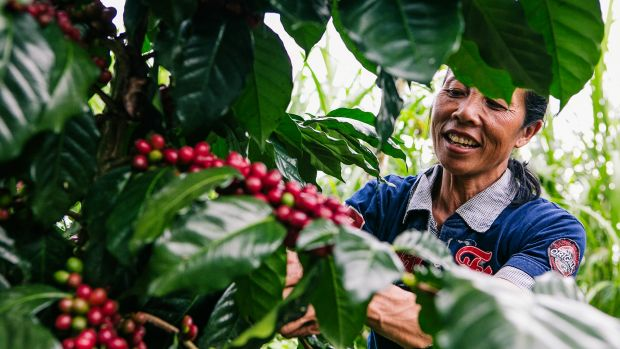 Buyers are getting excited about a handful of bean varieties such as wush wush and pink bourbon (the pink refers to the colour of this coffee cherry). Ibarra describes pink bourbon as a "fabulous" floral coffee that's "not a knock-you-in-the-face, it's more a refined palate", while the wush wush is a "floral, lemony" Ethiopian variety that's been found in Colombia. These limited edition beans are sold for home-brewers often as sets to taste-test (because of the smaller quantities available). 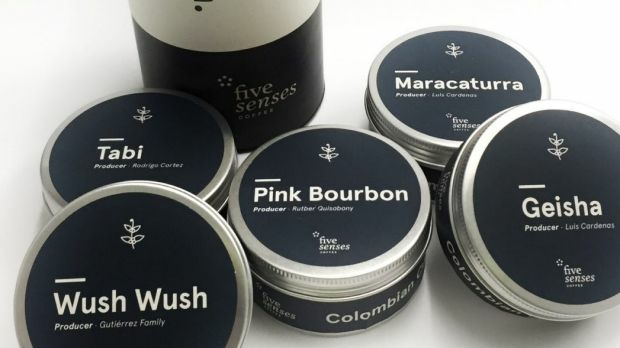 Ibarra compiled a Colombian set of five favourite discoveries from a recent trip for Five Senses, or you can buy microlot packs online from roasters such as Zest and Sensory Lab which currently has a trio of Brazilian microlots. Increasing sophistication and innovation is not just confined to filter brewing and black coffee. 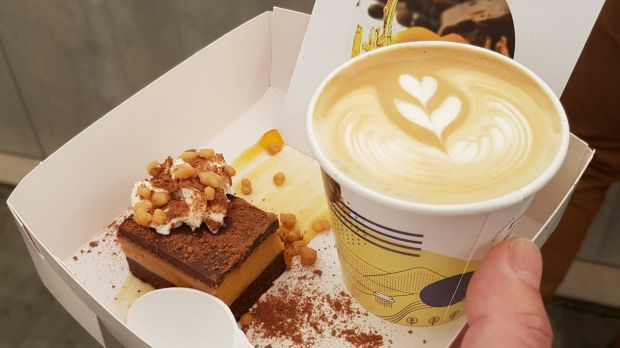 Many cafes are getting their cow's juice from small producers, such as Schulz Organic Dairy and Saint David Dairy in Melbourne, and Country Valley in Sydney's Campos cafes and Edition Coffee Roasters among others. Speciality milks may have a layer of cream on top and often have a slightly higher fat content which gives a creamier mouthfeel and helps retain the desired texture, and may result in a sweeter flavour. "Sometimes you get these milks that are delicious straight out of a cup, but they can overpower the coffee. For some people it can be too sweet," Single O's Lindsay warns. If you're in the latte-drinking set, now may be the time to adjust your coffee order. Firstly, familiarise yourself with the cafe's standard shot – is it a single shot, a double shot or a ristretto (restricted to the first 15 to 20 millilitres of the espresso pour)? Tweak your order if the milk-to-coffee ratio is not quite right; maybe to a three-quarter latte (less milk), make it a double, or downsize to a piccolo. "Consumer awareness is getting better; people start to learn what they want and they adjust it to their own liking," says Lindsay. Keep an eye on the details – colour-coded anodised milk jugs (such as red for soy, blue for skinny, green for full-cream) and an in-bench sink with a push-down rinser are good signs that they take their milk seriously. Some larger cafes are using the Juggler, a milk dispensing system stocked with 10-litre bladders, saving on plastic bottles, and keeping the milk at a constant temperature. Avoid cafes with too many lukewarm milk cartons lined up on the benchtop. Milk should always be cold. 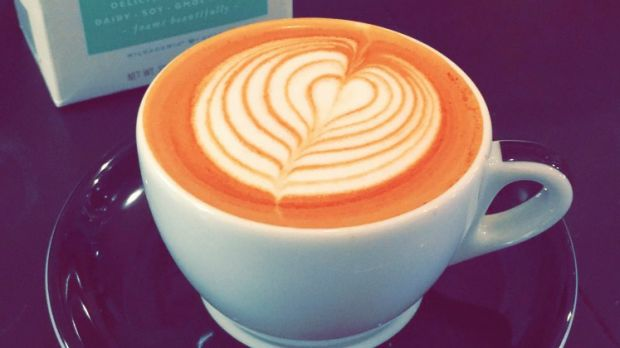 At home, aim for "white paint" when texturing (heating) milk, says 2015 World Latte Art Champion Caleb Cha. "While you swirl the milk jug, if you see the velvety, shiny surface that means you have perfectly stretched milk." Stretching refers to aerating the milk until it becomes uniform, resulting in microfoam with no separation between milk and froth. Whether you are brewing your own or getting your daily hit at a local fave, there is no reason to settle for an average brew in Australia right now. Sensory Lab's new coffee capsules. 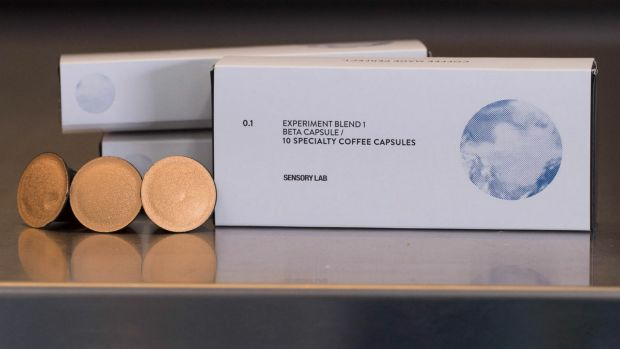 Australia's specialty coffee industry has largely ignored pod coffee, however Sensory Lab is experimenting with its own range of recyclable Nespresso-compatible coffee capsules, launching a limited run of two experimental Beta blends last week. 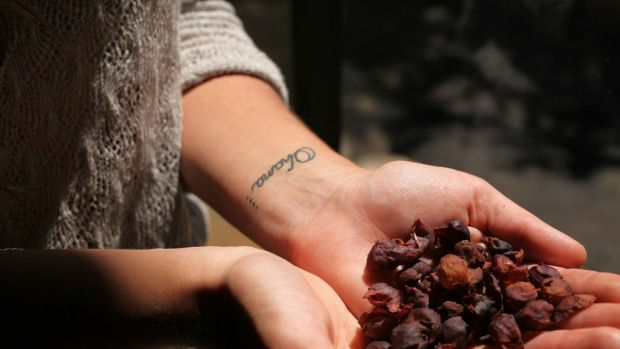 Resembling dried cranberries, cascara is dried coffee cherries and it's being brewed as a tisane (herbal tea) with a plum- or cherry-like tang. The caffeine level varies from crop to crop, but it's a lot less than a cup of joe, and the "tea" contains antioxidants known as flavanols. During harvest, coffee beans (think pits) are removed from the fruit (cherries), with the leftover cherry (cascara, after the Spanish word for husk) discarded. Campos is developing a nitro-charged soda, Sydney soda bar PS40 produced cascara cola for Single O, and the roasters have created a cascara kombucha with Wild Kombucha. Campos and Melbourne Moonshine steeped the dried fruit in spirit to create a cascara "moonshine" liqueur last year. Sure, you know coffee can be chocolatey, and maybe you secretly get annoyed if you order a cappuccino and it arrives sans sprinkles, but how about coffee as dessert? 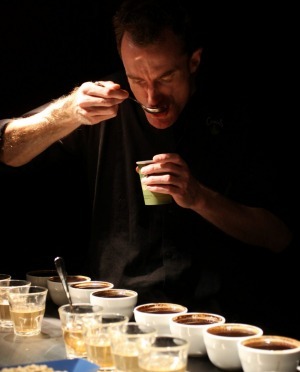 Melbourne roasters Zest served their African Mailman blend with a dessert of chocolate mousse, maple syrup and berries at last month's coffee expo, to bring out the flavour profile in milk-based coffee. "We wanted to play, or draw a parallel between dessert flavours and our flavours in the blends," McDonald says. 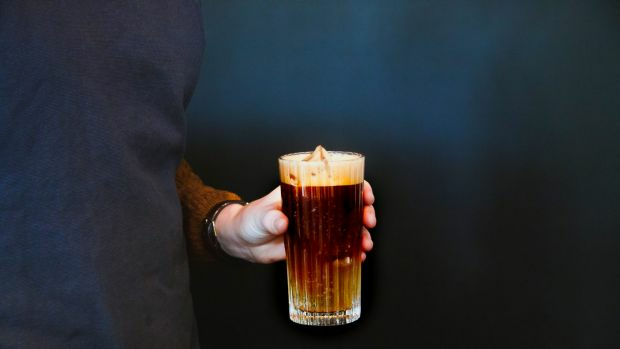 Industry Beans, in Melbourne's Fitzroy, has taken its cold drip coffee "caviar" garnish to another level, with a recent riff on bubble tea, an iced coffee of sorts, combining cold-drip, coffee-infused tapioca balls, and condensed and soy milks. The cafe's signature caviar is still sprinkled on a brunch dish they call Dessert Coffee Garden, featuring chocolate soil and espresso tuile. Melbourne's Market Lane has been serving coffee spritzes (double espresso and tonic water over ice) for a few years. Lindsay says the surprising combo tastes "bright, lemony, like a coffee lemonade, almost". Try it at Sydney's Paramount Coffee Project. 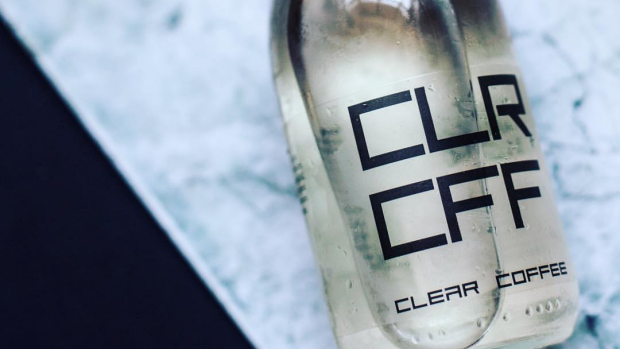 With no vowels and no colour, this bottled coffee water promises no teeth discolouration. Slovakian brothers developed the secretive process of removing the pigment (UK only). Under his Barista Hustle brand, St Ali head barista Matt Perger has sold about 2500 of his slick matte-white tampers (the hand-held tool that levels and compresses ground coffee, before it is extracted via an espresso machine). Cha is developing his own "Tiger" milk jug for aspiring latte artists, "it's a bit of angle science. It's not just [for] steaming milk, it's for pouring milk." We've spotted lavender syrup as an add-on in Portland, Oregon, while mauve lavender "lattes" are the latest on the alternative warm milk rainbow. 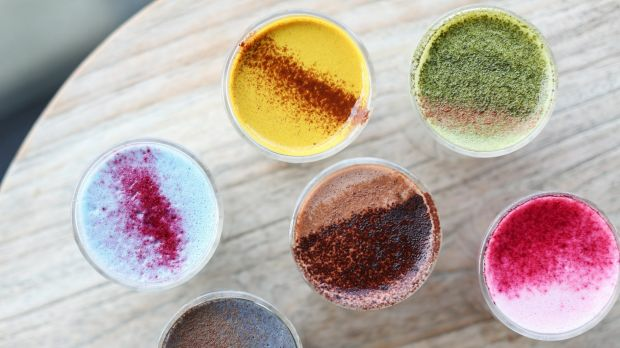 The frothy spectrum includes turmeric or golden milk, red rooibos, purple beetroot, pink hibiscus, grey charcoal and green matcha.